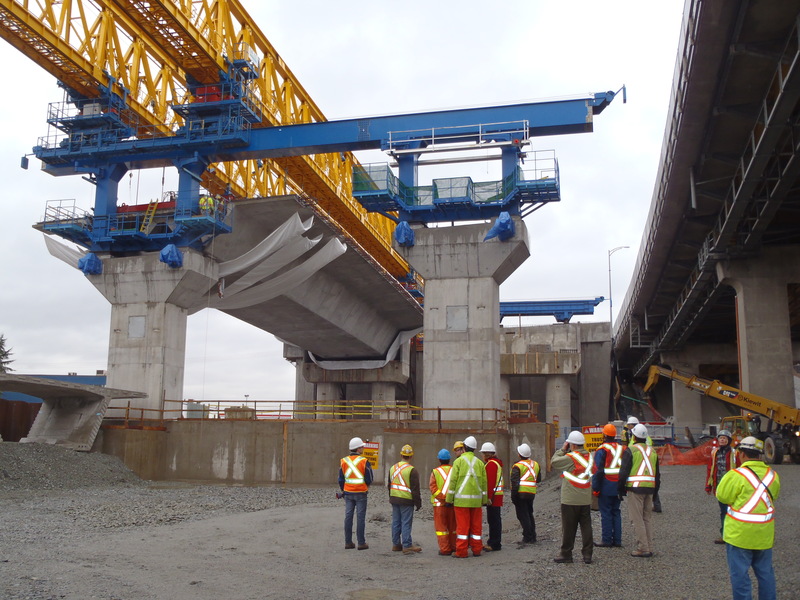 You might become aware of a major transportation project when it’s announced on the news or social media, or by chatting with a friend or neighbour. Or you might learn there is something really big happening from new signs. Then again, your curiosity may be piqued when you see construction markers, big equipment and people dressed in reflective vests at a site. 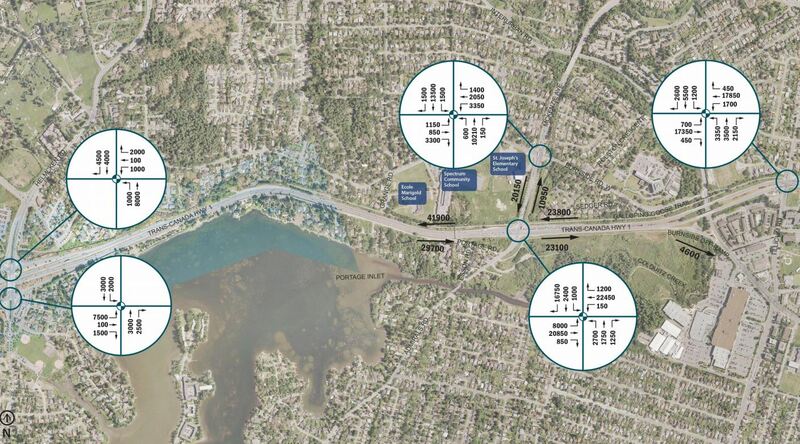 Stakeholder inputs (the wants) – what we hear from the travelling public, industry, municipalities, First Nations and public consultation like the Sunshine Coast Fixed Link Feasibility Study for example. Prioritization of the investment with other priorities and projects on a local, regional and provincial level. Study of traffic flow– annual average daily traffic volumes at the Mckenzie Interchange for 2015. Traffic engineering – to determine how drivers will navigate the road and the required lane markings, intersections, signal operations and signage. Highway engineering –determine the road or bridge’s geometry, curve radius, grades, number of lanes, speed of facility, roadside drainage, and roadside hazard protection. About 99% of our projects take the design, bid, build approach where we contract with an engineering consulting firm to design all or a part of the project. Once the design is finalized, we then go to tender, providing the design drawings and project details, including unique specifications are beyond those in our Manual of Standard Specifications for Highway Construction. The lowest bidder usually becomes the “contractor” and builds the project. 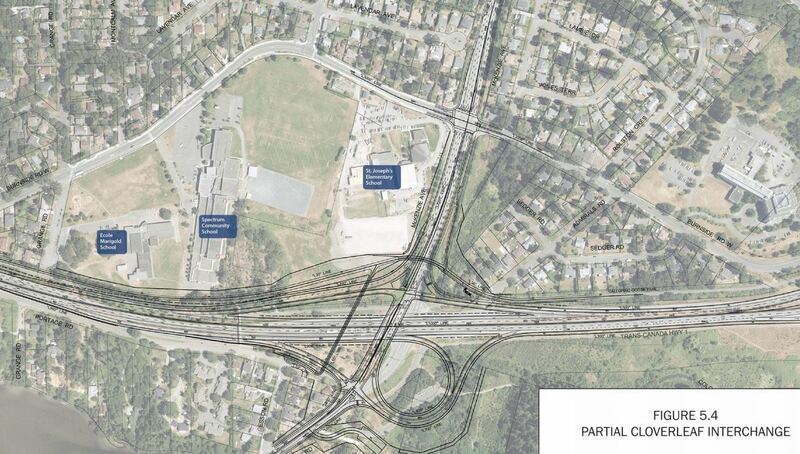 For some large projects like the Port Mann Bridge and George Massey Tunnel Replacements, the ministry provides information about what we want built and puts out Requests for Proposals for companies who to do both the design and the construction. In some cases, like the Sea-to-Sky Highway, one contractor delivers all aspects of the work – they design, build and operate the bridge or highway. Engineer of Record coordination – original designer must review the works to sign off on the final product as meeting their expectations and design intent. Property acquisition — assess property needs during or immediately following design, and negotiation to obtain land required to deliver the project prior to construction. For all projects we regularly review updated schedules and financial reports to see how we’re doing on completion dates and budget allocations. 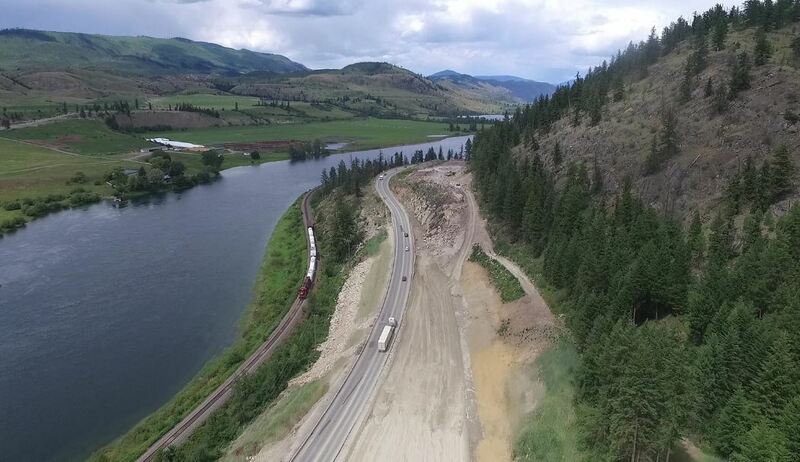 June 2016 work at Hoffman’s Bluff showing area blasted, as part of four-laning the Trans-Canada Highway. Obtain acceptance of the product from district operations staff who will oversee the use and maintenance of the new road/bridge etc. Clerical closeout – project filing, and release of staff back to their departments. Our major projects involve a whole lot more than this – particularly the construction phase when it comes to putting in bridges, overpasses and underpasses. But those are other stories to be told, with a lot more details of what’s involved in building highway systems that enable you to get around safely and efficiently. Or you can take the approach taken to Kamloops to Alberta four laning. No plan, no design, no timescales. The reality is a shortfall on delivering the promise of inadequate funding ($650m over 10 years) and piecemeal work at a rate that will take many decades to achieve the aim of the ‘project’. Thank you again for your comments and continued concern. Under B.C. on the Move, the ministry’s new 10-year transportation plan, the Province is committed to continuing to work with the federal government to fund priority projects on the Trans-Canada Highway, with a goal of increasing the total investment to over $1 billion over the next 10 years. With respect to your comments about the timeline for this work, projects of this magnitude require significant engineering and construction resources and must be carried out over the long term. We hope that this helps. It would be nice if there was even a faint chance that many of the worst accident blackspots on BC’s most lethal highway (ICBC’s description) would be upgraded in the next decade or two. Unfortunately, given current rates of progress, I would be a fool to expect this to happen.